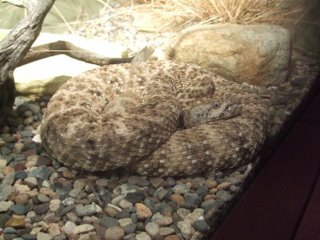 The aquarium has an exhibit titled Dazzling and Dangerous and details some species that, while very exciting, can be venomous to humans. People often confuse the words venomous and poisonous. The word venomous often describes something that will actively inject a harmful substance into the body (examples: snakes, black widow spiders). My understanding of the poisonous is that it is something that will cause death or bodily harm through ingestion or dermal contact (cyanide) but that it is not actively administered by a plant or animal. So, the rattle snake and banded sea krait below should be listed as venomous while the poison dart frog shown below should be listed as poisonous. The frogs eat several species of ants, which have previously consumed toxic chemicals from plants. The frogs secrete the poison from glands on their skin. You would likely not die simply by touching a poison dart frog, however I wouldn't recommend eating one or picking one up in you have cuts in your skin. 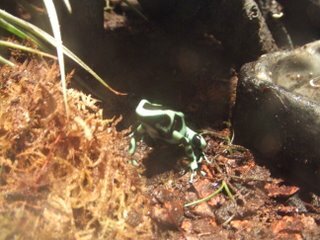 Species of the genus dendrobates, one of my favorites while living in Costa Rica, are commonly called poison dart frogs. This one is a green and black poison dart frog (Dendrobates auratus). We used to catch the strawberry poison dart frogs while living in La Selva but I've only seen a couple of the green/black variety and that was closer to the coast. This friendly looking snake is a southern pacific rattlesnake (Crotalus oreganus helleri), native to southern California. 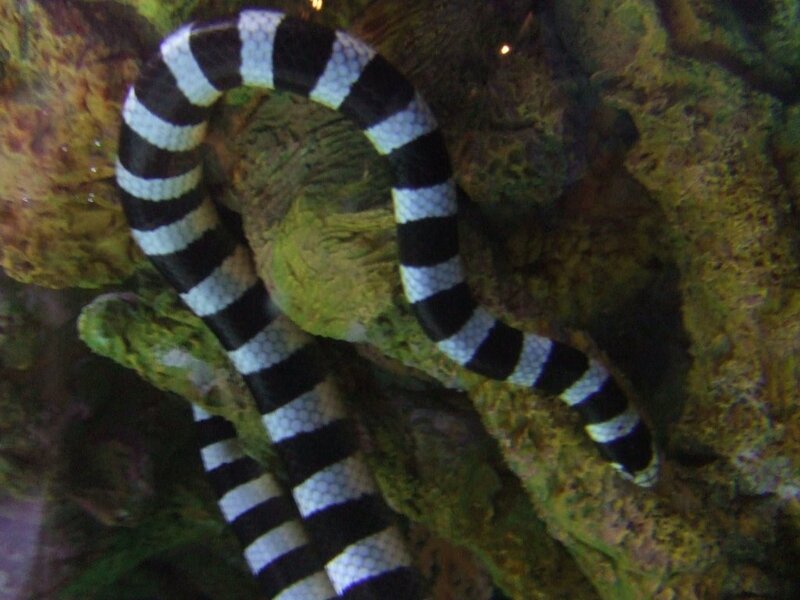 This is a banded Sea Krait (Laticauda colubrina), probably one of the most venomous snakes in the world. 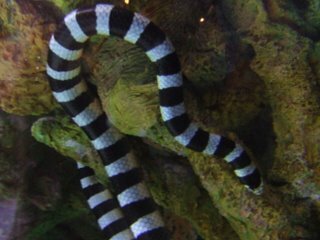 There is no treatment for a bite from a sea snake; however, they typically are not very aggressive and rarely bite people. 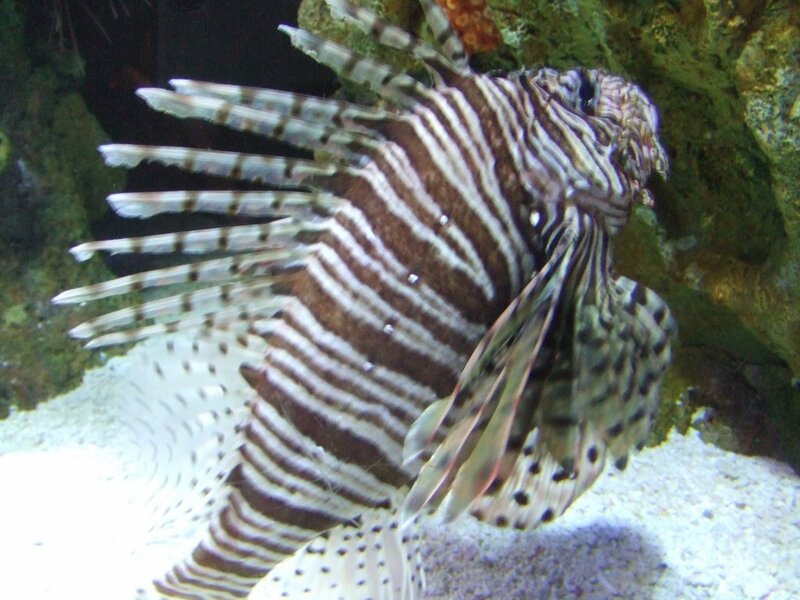 I believe my dad had a bit of run in with one of these (or a close relative) while diving in Indonesia. His was unusually aggressive and I believe my dad had to exit the area rather quickly. Was this also when the incident with the trigger fish occurred? This is a rather fuzzy picture of a Lionfish (Pterois volitans), also a highly venomous creature. They may be beautiful but I would not recommend crossing paths with this guy. He is aptly named.